With the days getting longer, and Springtime just around the corner, we leap into March with a renewed sense of excitement! As we begin these last few months of the school year, I want to thank you for your participation at our recent parent-teacher conferences. My hope is that this was an opportunity to celebrate your child's progress and learn more about their next steps in growing as learners. Please know that your partnership and support is valued and greatly appreciated by our staff. 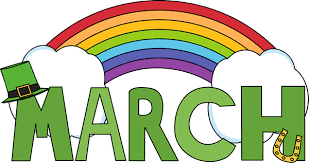 This upcoming month is a big testing month for our students in grades 3 and 4 with the MEA assessment, and we also look forward to having some wonderful learning experiences for our students beginning with a special event <="" span="">. The YHS Interact Club will be hosting a "Kids' Movie Night" on Friday, March 2 from 6-8 p.m. at the First Parish Church in Yarmouth. Kids in grades K-4 are welcome to come dressed as their favorite superhero for a costume contest, watch a movie, buy popcorn and treats, and have fun with friends. For questions please contact Karin Walsh, YHS Interact Club Advisor at karin_walsh@yarmouthschools.org. This K - 12 student competition is sponsored by the Music Boosters and the proceeds benefit our music programming. All talent is welcome to audition - music, dance, arts, magic, comedy...or any creative endeavor that will win over the audience! Auditions for grades K-4 will be held here at YES at 4:00 p.m. Cash prizes are based on audience vote. One first prize for each age group. Official rules and entry forms at YarmouthsGotTalent.org. In collaboration with Chief Morrill and the Yarmouth Police Department we will be holding our second schoolwide lockdown drill of the year at 2:45 p.m.
To celebrate St. Patrick's Day (Saturday, March 17th) students may choose to wear green articles of clothing, including hats, to school on this day. Get your tickets! They go on sale March 14th , 7:00 pm at www.brownpapertickets.com (active link to come.) We look forward to seeing some great talent from YES in action that night! We hope to see you at as many of these meetings as possible. All of our third and fourth grade students will be taking the reading, math and essay assessments over the course of six mornings in March. We have scheduled our students to take these assessments on 3/20, 3/21, 3/22, 3/27, 3/28 and 3/29. We appreciate your help in making sure that your children are here in school on these days and well rested to take these important assessements. A Yarmouth's Got Talent encore performance for YES and Rowe students will highlight our March community meeting. We welcome our K /1 friends from the Rowe School on this day for a special K-4 event!